In October 1988 Constables Steven Tynan & Damian Eyre were ambushed and murdered in Walsh Street, South Yarra. As a lasting memorial to Constables Tynan & Eyre, a scholarship trust was created to give study grants to members of Victoria Police. 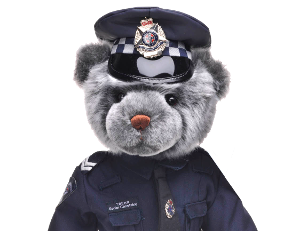 The grants provide funding for specific and approved police or public safety related study in Australia and overseas so that new skills, techniques and experiences can be utilised within Victoria Police for the benefit of the Victorian community. Members of Victoria Police can obtain further details and applications by contacting the Airlie Leadership Development Centre on 9865 8222. In April 1986 Constable Angela Rose Taylor was killed when a car bomb exploded outside the Russell Street Police Complex. As a lasting memorial to Constable Taylor, a scholarship trust was created to give study grants to members of Victoria Police. The grants provide funding for specific and approved police or public saftey related study in Australia and overseas so that new skills, techniques and experiences can be utilised within Victoria Police for the benefit of the Victorian community.